The bad attitude was apparent the moment he stepped off the school bus… my six year old looked mad. He walked right past me without saying a word and pushed his 4 year old sister into a snow bank. As we made our way into the house, I tried to connect by showing interest in his day. “What fun things did you do at school today?” I asked. “Nothing!” he retorted, clearly not interested in talking. Uh oh. Here we go. At this point I was getting pretty upset myself. 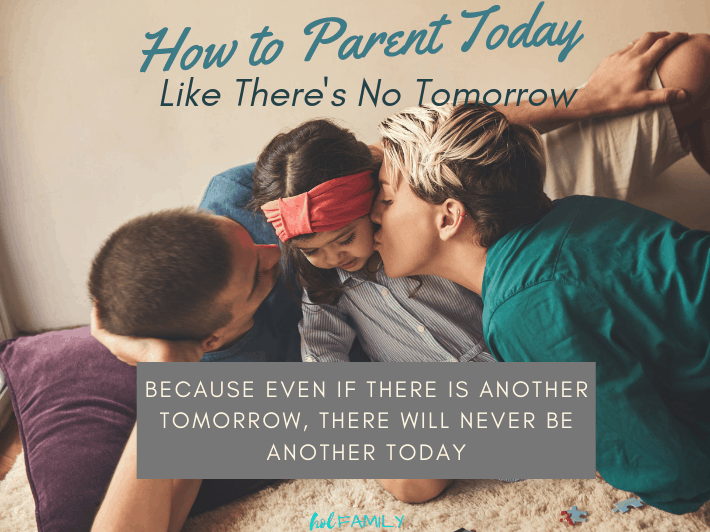 My parenting prowess disappeared and I made some massive mistakes that did nothing more than make the situation worse… let’s examine those mistakes and discuss what I should have done differently. My son’s short, disrespectful retorts sent me over the edge. I felt angry by his words and let that anger consume me. I should have used the invisible mirror. And around the anger carousel we went. 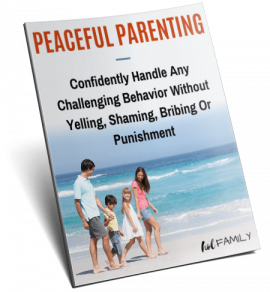 My best shot at helping him calm down would have been to not take the behavior personally and remain calm. Like begets like. Mirrors reflect what we show them. I needed to act like I wanted him to act. If you can believe it, amidst this huge meltdown and my rising blood pressure, I actually attempted to teach my son during this emotional moment. “You need to talk about what you’re feeling, not scream at me!” I snapped at him. “Stop talking to me!” as he ran into the living room, grabbing the closest object he could find, a toy plate and chunking it across the room like a frisbee. I should have seen the moment for what it was. An emotional response to an event that had happened. It wasn’t personal (it rarely is). Sure, I believe all behavior has an underlying teachable moment attached to it… but the time to teach isn’t right in the middle of a meltdown. The emotional brain cannot comprehend complex explanations when it’s raging out of control. Heck, I, a middle aged man, can’t even think straight when I’m emotional. 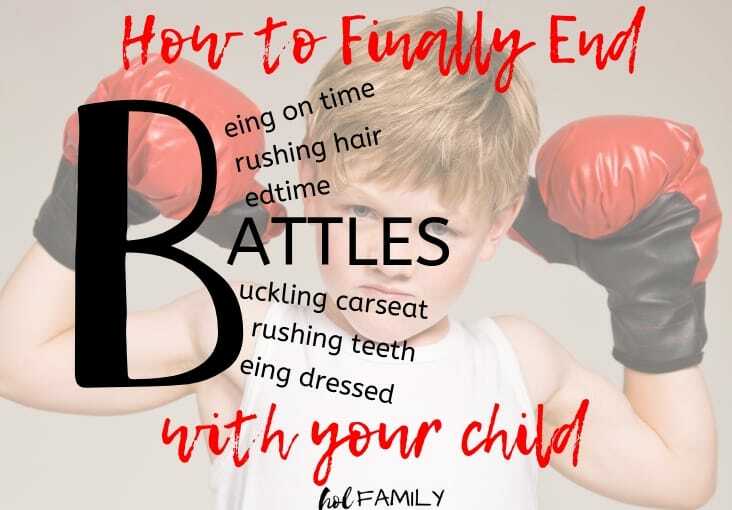 Why on EARTH should I expect it of my 6 year old? 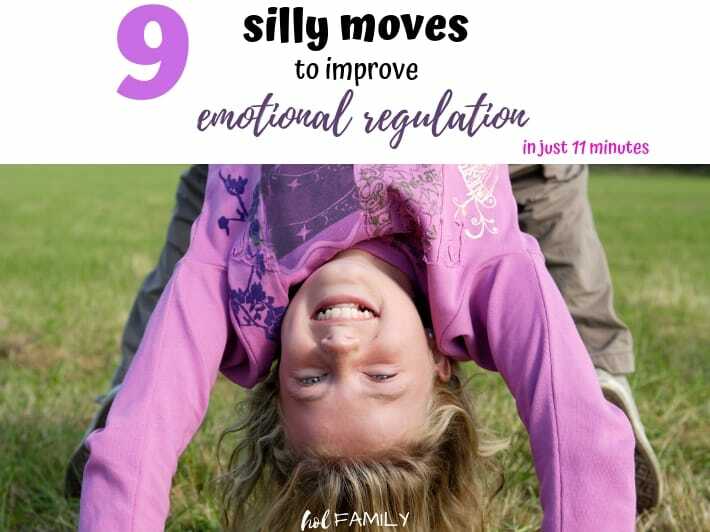 I should have waited to discuss the behavior and teach until AFTER the emotions began to taper off. Only then would that teachable moment have had any positive outcome. As he threw that toy plate, reactive daddy mode was further engaged. “Throw one more thing and you’ll lose the iPad today!” I said in a stern, matter of fact, voice. He glared at me with defiant eyes, grabbed one of his sister’s toys and like a major league pitcher, throw it at home plate — me. “That’s it! You just lost your turn on the iPad today, buddy.” I said in a fury of frustration. No doubt about it, consequences are a part of life. But there is a fine line between unnatural and natural consequences. And I crossed that line. We learn not to do something because of the natural consequences that occur as a result. Me taking away my son’s turn with the iPad was an unnatural consequence in response to his anger. Were consequences warranted at this stage in the outburst? Maybe. But I should have done it in a way that was natural and non-threatening. 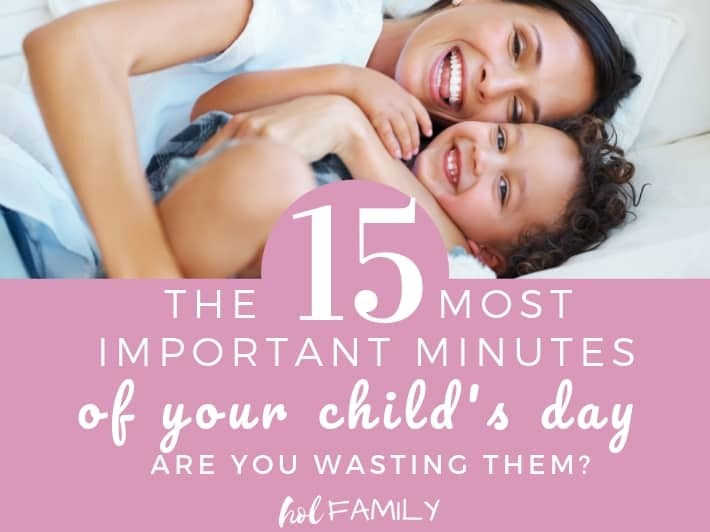 You see, after school my kids get 1 hour of quiet time to watch a show either on the iPad or TV (they alternate turns each day). So, if I had said to him that his time with the iPad would run out if he chose to continue to use that time to talk back and throw, that would have been a natural consequence as a result of his actions, not an imposed one. In a final attempt to control this turmoil, I sent a flurry of demands for my son to go to his room. And I didn’t say it nicely. I was pissed off. He stormed up the stairs, mumbling words under his breath. I fired back some more. He slammed the door and a few moments later I heard him crying as the anger turned into sadness. 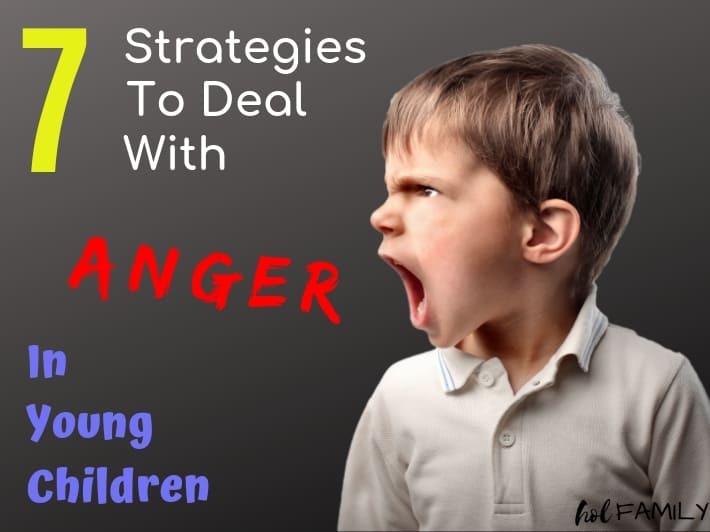 When a child is in a state of emotional outrage there is invariably a reason. As parents we are the most important people in their life and it’s important they always know that. No matter what they do. And yes, in that emotional moment I wanted him to know who was boss. But that doesn’t mean I was right. While sending him to his room to stop destruction and to protect his sister may have been the right decision, I shouldn’t have separated myself from him. Especially in THAT moment. He was screaming out for my presence. I should have went with him. No matter if he continued to scream at me. Or bombarded me with phrases that hurt me. As his daddy I still loved him. And being present with him during his emotional transition would have been a huge statement and testament that I loved him no matter what. Forced separation from a parent during challenging times severs connections and burns bonds. It also invalidates a child’s feelings. I missed that chance this time. 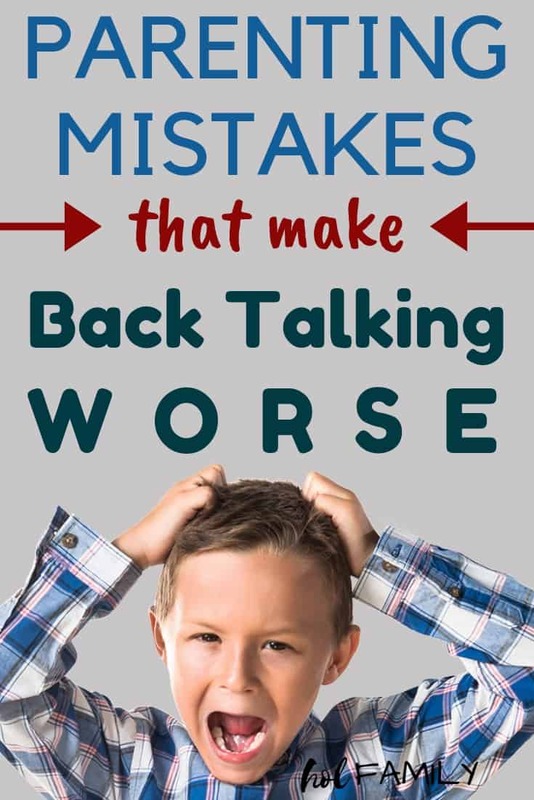 If your child is frequently talking back and misbehaving, the first step is to do a self-check to see if you are making any of these parenting mistakes. 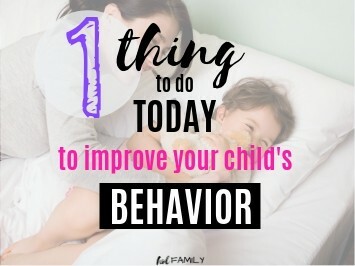 Remember, we need to be that invisible mirror that models the type of behavior we want to see in our children. 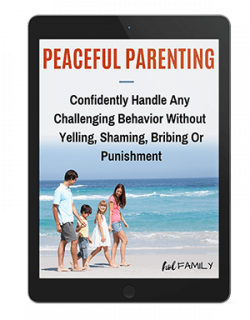 If you are looking for some practical step by step tips to handle challenging behavior in your kids, please be sure to grab your FREE copy of our Peaceful Parenting Guide.